Colin is a passionate real estate executive with a reputation for honesty, integrity and practicality. 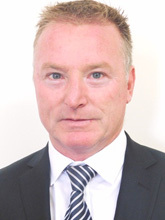 Colin has been servicing the local market for almost two decades gaining extensive experience and knowledge in the Yokine, Dianella, North Perth, Karrinyup and Doubleview regions. His awareness of current market trends and his broad knowledge of the local market is just one of his strengths. A strong understanding of buyer and seller demand and his practical negotiating skills ensures Colin achieves a premium result for his clients. Colin has also been involved with many successful developments through the years and enjoys sharing his wealth of knowledge to those wishing to explore subdividing, developing or maximising the potential of property. Colin’s forte is working to ensure his clients have the success they desire in regard to real estate. Proffessionals, First Home Buyers or Downsizers this is a fabulous home for those with a busy life.